Union County Emergency Services works with many local organizations to provide support to the residents of Union County in the event of an emergency. It is important for the citizens of Union County do their part to ensure the safety of their families by preparing for any emergency that may occur so they have what they need until help arrives. Develop a family communication plan of what to do, where to go, and who to call in case an emergency happens during the day when people are at school and work. 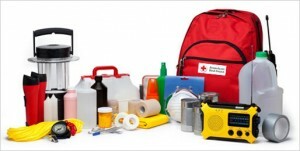 Keep updated emergency kits for your entire family. Have an emergency contact out of the area that family members can contact in case of separation. Local phone lines may be overloaded, but an out-of-area call may go through. If you own a business in Union County, develop an emergency plan for your employees and ensure that they are trained on how to handle different emergencies safely. Drop, cover and hold on. Crouch in a safe place (under a sturdy table or sturdy interior wall). Cover your head until the earthquake stops. If you are inside: stay inside; if you are outside: stay outside. Move away from buildings, street lights, and utility wires. Crowded place: Take cover, do not rush for doorway. Tall buildings: Stay on your floor, do not use elevator. Driving: Pull over, but not under a bridge, overpass, or power lines. Stay in car. If you are in the mountains be alert for falling rocks, trees, or landslides. Check for hazards such as fires, gas leaks, or downed utilities. Clean up any potentially harmful materials spills. Talk with family members and loved ones about how they would be cared for if they got sick, or what will be needed to care for them in your home. If indoors, get out and stay out; follow your family escape plan. Get as low to the ground as possible and crawl to the nearest exit. Always check doors before opening. If the door, door knob, or crack is hot, do not open it – find another way out. If the door is cool, pass through quickly and close the door behind you. If unable to get out, hang a white t-shirt, towel or sheet out of the window to let firefighters know someone is trapped inside. Once out of the building go to your pre-designated meeting spot from your family plan. Evacuate immediately if asked to do so, and cooperate with public safety personnel. Move down slope if fire is burning in a hilly or mountainous area. Cover nose and mouth with clothing or other piece of cloth to protect from smoke and ash. Do not go near, walk, swim or drive through flood waters. Do not travel unless necessary to do so. Be aware that trees could fall as a result of saturated soils. Do not go near or around downed power lines. Call your local utility to report any downed power lines. Check on elderly people, children at home alone and any special needs family, friends or neighbors to see if they need assistance. Before an area is flooded, turn off water and electricity in any flood prone structures. Unplug appliances and do not touch if wet. If you have areas of deep water, let it flow to the basement to limit or avoid structural damage. Elevate valuables onto tables or to upper floors. Understanding that power outages are often widespread, if safe to do so, please check on others who may be without power and in need of assistance. Please be aware that property owners are responsible for protecting their own property. First, check to make sure you have not blown a circuit. Check the circuit breakers in your home’s electrical panel. If power is out in your entire neighborhood, call your local utility company to report the outage. If power is out over a widespread area, it may take a longer time to restore power everywhere. If there are power lines down in your neighborhood, call 9-1-1 and call your utility company. DO NOT GO NEAR DOWNED POWER LINES. Listen to your battery-powered radio or TV, especially for news at the top of each hour, to find out when the power might be restored. Avoid opening your refrigerator and freezer as much as possible. Food inside should stay cold for hours if the door is left closed. Unplug some of your major appliances. When the power comes back on, all of those appliances can create a drain or power surge. This can harm sensitive equipment. To avoid a power surge when the electricity returns, turn off computers, TVs, stereos and other unnecessary electronic equipment at the power source. Leave a light on so you’ll know when the power is restored. If you have a generator, do not connect it to your home’s power system unless it has been properly installed and disconnects you from the main power grid when it is operating. If you do not disconnect from the power grid, you can be sending electricity back down the lines; not just to your home. That could be deadly for power company workers. If you have a regular wood stove or fireplace, you can use it for heat. However, DO NOT USE kerosene heaters, BBQs, or any outdoor type heater inside. Such devices create poisonous gases such as carbon monoxide. Carbon monoxide is an odorless and colorless gas given off by combustion and could kill. Check on your elderly neighbors or those who may have medical conditions or use medical machinery that operates on electricity. Make sure they are dressed appropriately warm. If someone needs to have machinery that operates on electricity, move them to a place where electricity is working. If you have to go out, drive carefully. Remember that traffic signals may be out during a power outage. Consider each intersection to be a four-way stop and drive defensively. Remember if you can hear thunder, you’re close enough to the storm to be struck by lightning. Go to safe shelter immediately! Move to a sturdy building or car. Do not take shelter in small sheds, under isolated trees, or in convertible automobiles. If lightning is occurring and a sturdy shelter isn’t available, get inside a hard top automobile and keep the windows up. Telephone lines and metal pipes can conduct electricity. Unplug appliances not necessary for obtaining weather information. Avoid using the telephone or any electrical appliances. Use phones ONLY in an emergency. Don’t take a bath or shower. Find a low spot away from trees, fences and poles. Make sure the place you pick isn’t subject to flooding. If you’re in the woods, take shelter under shorter trees. If you feel your skin tingle or you hair stands on end, squat low to the ground on the balls of your feet. Place your hands on your knees with you head between them. Make yourself the smallest target possible and minimize your contact with the ground. If you’re boating or swimming, get to land and find shelter immediately. Make sure your emergency kit is stocked for winter conditions. Dress appropriately with warm clothing, and use blankets for added warmth. Buy rock salt to melt ice on walkways and sand to improve traction. Make sure you have sufficient heating fuel. Keep emergency heating equipment and fuel to keep at least one room of your house warm. Union County Emergency Services encourage all Union County residents to prepare for emergencies as individuals and families. Recommendations for general emergency kits are below, but can be personalized to suit your family needs. Emergency kits can be stored anywhere in the home that will be easily accessible to all members of the family. The contents can be kept in a duffle bag, storage tote, or in a large box – whichever works best for your personal storage situation. Make sure that all members of the family know where the emergency kit is located. Complete change of clothing including a long sleeved shirt, long pants and sturdy shoes. Consider additional clothing for colder weather. Household chlorine bleach and medicine dropper – When diluted nine parts water to one part bleach, bleach can be used as a disinfectant. Or in an emergency, you can use it to treat water by using 16 drops of regular household liquid bleach per gallon of water. Do not use scented, color-safe or bleaches with added cleaners. Before an emergency happens, have a family discussion to determine who would be your out-of-state point of contact, and where you would meet away from your home — both in the neighborhood and within your town. The Federal Communications Commission (FCC) designed the Emergency Alert System (EAS) so officials can quickly send out important emergency information targeted to a specific area. After conducting extensive tests of competing technologies, the FCC ruled that the EAS would be a digital-based automated system and use coding protocols. EAS sends out alerts not just to broadcast media but also to cable television, satellites, pagers, Direct Broadcast Satellite, High Definition Television, and Video Dial Tone. EAS accounts for the needs of special populations such as the deaf and those with special language requirements. You can receive EAS messages via radio and TV stations. In 1996, EAS replaced the Emergency Broadcast System (EBS). Performing studies to improve emergency communications. Developing a state EAS plan for broadcast and cable media. The LECCs support the SECC mission on a local level. The number of LECCs varies widely from state to state. Each LECC is responsible for an area about the size of a typical county. LECC members include broadcasters, cable operators, emergency management officials, other technological personnel, amateur radio operators, utility companies in the service area, and others who have a responsibility or interest in local emergency communications. Added a Child Abduction Emergency event code for use in connection with local, state and regional AMBER (National Center for Missing and Exploited Children) Plans. For More einformation, see FCC’s EAS Rules (47 C.F.R Part 11). There may be conditions under which you will decide to get away or there may be situations when you are ordered to leave. Take your pets with you, but understand that only service animals may be permitted in public shelters. Whether you are at home, work or elsewhere, there may be situations when it’s simply best to stay where you are and avoid any uncertainty outside. There may be circumstances when staying put and creating a barrier between yourself and potentially contaminated air outside, a process known as “sealing the room,” is a matter of survival. 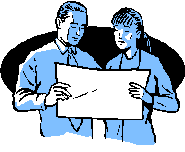 Use common sense and available information to assess the situation and determine if there is immediate danger. If you see large amounts of debris in the air, or if local authorities say the air is badly contaminated, you may want to take this kind of action. The process used to seal the room is considered a temporary protective measure to create a barrier between you and potentially contaminated air outside. It is a type of sheltering in place that requires preplanning. You can avoid many dangerous weather problems by planning ahead. Plan long trips carefully and check the latest weather forecasts and road conditions. If bad weather is forecast, drive only if absolutely necessary. Check the exhaust system for leaks and crimped pipes. Repair or replace as necessary. Replace fuel and air filters. Keep water out of the system by using additives and maintaining a full tank of gas. A full tank will keep the fuel line from freezing. Repair if necessary any problems with windshield wiper equipment and maintain proper washer fluid level. Use winter tires, chains or studded tires.